Hello Michel and Damien! First of all, congratulations on your game Babel Rising! When I saw the first teaser some months ago, I was truly blown away by the artwork, the style, and the fun gameplay mechanics. Now that it finally has hit the store shelves, I think it is safe to say that you have created one of the coolest and best-looking ShiVa games yet. Babel Rising has just been released for XBLA and PSN as well as iOS and Android a few days ago, so not many users did have a chance to test it yet. Can you shortly introduce us to Babel Rising and tell us a little more about the game itself? Thanks of lot for your kind words. Babel Rising requested a lot of energy and passion during the last 12 months or so and we’re happy to see that the results looks nice. We’re keeping fingers crossed and are hoping the sales will be good. Babel Rising 3D is an action game where you step into the sacred sandals of a great, almighty, and very angry deity. 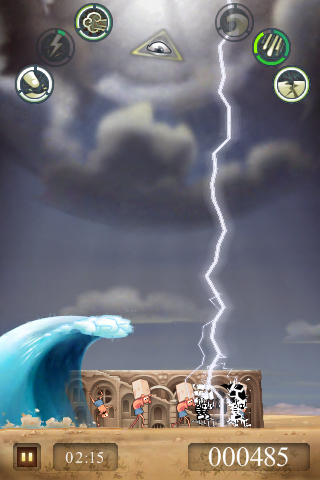 As god, you can hurl bolts of holy lightning, summon punishing earthquakes, and unleash vengeful floods upon the foolish and irreverent Humans to prevent them from building the tower of Babel. along with a multitude of other platforms. And with PlayStation Move and XBox Kinect, you integrate two cutting-edge technologies into the gameplay that have never been part of any ShiVa game. 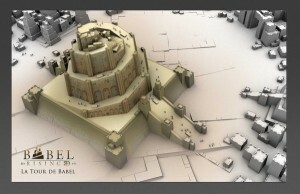 Can you share some insights about the development process of Babel Rising 3D? All in all, from the initial designs on paper and our early prototype, we’re talking nearly two years. But the production itself took us about 14 months, after ShiVa was chosen and the contract was signed. Mando’s core team had developed over 10 games on various platforms (PC and consoles) prior to Babel Rising 3D. The game was entirely made by our studio. However, specific features were developed by Stonetrip on our request, and the cooperation between our team and Stonetrip was really very good. The biggest strength of ShiVa is the support from Stonetrip. Every time we hit a blocking point, we had very quickly at least a reply if not, most of the time, a new version of the engine either fixing the issue or adding the needed feature. Thanks to the plugin system, we managed to integrate PlayStation Move / Kinect on our own. PlayStation Move has been very easy to plug as we just had to port what we had already developed for another engine. Kinect being a more complex technology, more work has been required. 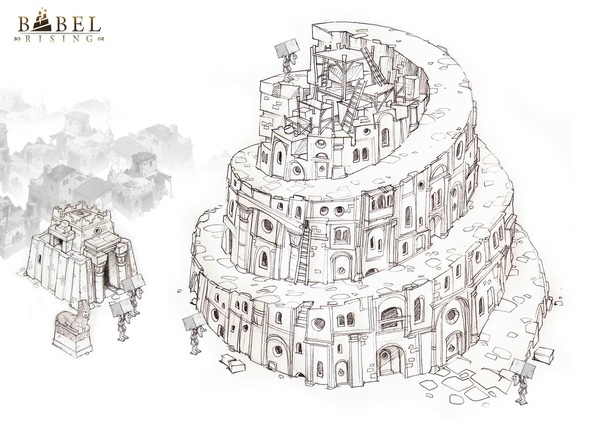 Babel Rising is being published by one of the biggest names in gaming: Ubisoft. I know that a contract with them would be a dream come true for so many ShiVa users. Having such a giant backing development, one would think that you had all the resources in the world to make the game and use any engine you desire. Yet, you chose ShiVa. Why and when did you make that decision? First of all, we are very fortunate to work with Ubisoft on Babel Rising 3D. When we showed the prototype to the Ubisoft BizDev teams, they liked it almost immediately. Once the deal was signed and Ubisoft became our worldwide console and IOS publisher, their marketing, sales, and PR teams were also very enthusiastic. Ubisoft really is the best partner we could have for our game. In addition to Ubisoft, we are also working with a publisher specialized in the Android market, A.M.A for this specific version. We had a very interesting and constructive meeting with ShiVa’s CEO, Philip Belhassen, during GamesCom. He demonstrated the features of the engine to us and we had a good feeling about it from the start. Then we asked our lead developer, Damien, to evaluate the engine in depth, and his feedback was also very positive. The final decision was based half and half on pure technical aspects as well as the relationship quality. We knew that it would be a challenge for ShiVa as well, but the experience would be beneficial for both companies. 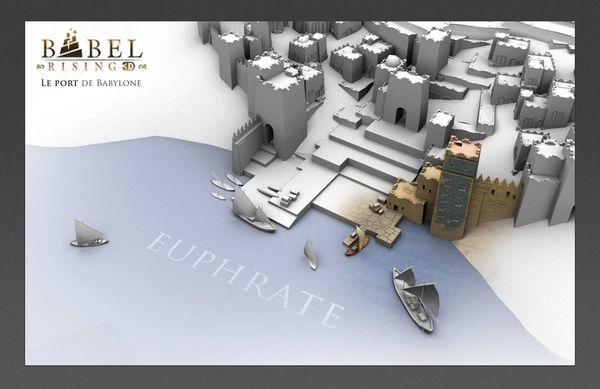 Browsing your website MandoProductions.com, it seems that you have created a whole app universe around the old biblical story of the Tower of Babel. Babel Rising 3D does not seem to be the first game in the series. What can you tell us about its predecessors, and where do you plan on taking the series in the future? 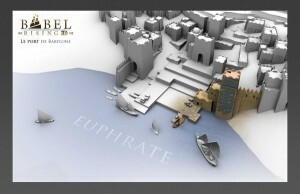 It all started two years ago with the original IOS Babel Rising game, in 2D. The idea was to play God and stop the humans in their attempt to build the Tower of Babel, using divine powers such as tornados, tsunamis or earthquakes. We were lucky that the game did quite well. Building upon its success, we wanted to take the gameplay to the next level, so we started thinking about how we could enhance the gamer experience. Finally, we came up with the idea of a 3D version of the game, allowing the player to rotate around the tower and thus adding a strategic layer to the “arcade / action” mechanic. While designing the basic player interface and the game world surroundings, we soon realized that the game was becoming too strategy-focused and had lost a lot of its simple “get rid of these pesky humans” fun. So we adjusted the style: Humans became bigger, the already “cartoony” world evolved even further in this direction, as the proportions between humans and buildings became more and more unrealistic. At this stage, the core design was nearly finalized. We decided to develop a 3D playable prototype and… showed it to Ubisoft. They said yes! Initially, Babel Rising was supposed to be the first opus in a series that we intended to call “The Adventures of God”. However, we decided that the “Babel Rising” universe was fun enough to be adapted in other game genres. So, someone in the team came up with the “Babel Running” idea. Despite killing all these poor workers, we wanted to show one of them carrying his stones to the yard and avoid God’s wrath. The game was released on IOS only a couple of weeks ago, and it’s too soon to tell if it’s going to be a success or not. All versions of the game were made with ShiVa and this includes IOS, Android but also Windows Phone 7. Thank you very much for the interview! We wish you all the best with Babel Rising 3D as well as your future endeavors! Mando is an independent game studio created in 2010. It consists of about twenty people who are managed by Michel Bams and Olivier Fontenay. The company works on creative and original projects for a multitude of platforms. Mando embraces the new digital distribution models as well as economic concepts (Free2Play, etc).